A judicial review of Fingal County Council’s decision to extend planning permission for the development of a €320 million runway at Dublin Airport took place today. Friends of the Irish Environment (FIE) sought the review in May after alleging that the Council’s decision runs contrary to Irish climate law. The second case relates to a challenge by major peat companies, Bulrush and Westlands, to a decision by An Bord Pleanála which found that planning permission was required for the industrial extraction of peat. According to FIE, who support the An Bord Pleanála ruling, the “widespread, uncontrolled industrial extraction” of peat is a nature conservation issue, affects drinking water quality and destroys carbon sinks. FIE argue that Fingal County Council has failed to meet the requirements of Ireland’s climate legislation in extending the permission for the proposed third runway at Dublin Airport. The Cork-based environmental group have previously said that the Council’s Chief Executive did not adequately consider climate and emissions related criteria before granting the extension in March, as is legally required under the 2015 Climate Action and Low Carbon Development Act. The original permission for the proposed 3.1km runway, granted in 2007, was due to expire this August. Greenhouse gas emissions from international aviation grew by 87 per cent between 1990 and 2014. Two other groups have also brought legal challenges in relation to the proposed runway. 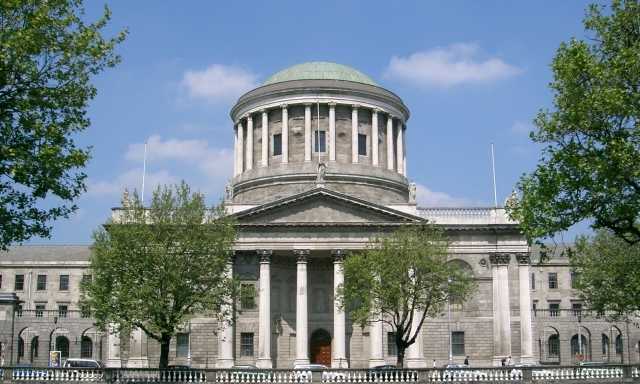 The St Margaret’s Concerned Residents Group, a group of Fingal residents, began a High Court action against Dublin Airport Authority (DAA) challenging permission for the runway on the grounds that DAA had not submitted a waste management plan in advance of starting works as was legally required. A challenge has also been brought by 22 individual local residents against Fingal County Council, who claim that the Council has not addressed their concerns about the development’s impact on their properties. All three actions are to be heard in sequence by Mr Justice Max Barrett. Lía is a former writer and Deputy Editor at Trinity News. She also has a BA in History and English Literature from Trinity College Dublin.